I’m playing Crysis but I’m thinking of Wing Commander. How I wish a more unique or other less popular genre of game were the one to premiere Cry Engine 2 instead of this merely adequate shooter. The game engine is damn fine, and this little Google Video clip can’t do it justice. 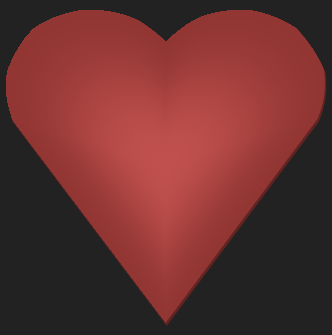 Click here to see the half-resolution 170MB AVI. Pretty nice frame rate for all High detail settings with AA and AF while recording with Fraps, eh? My wife and I are not the types who celebrate out of duty. Conversely, we opt to celebrate achievements, a good ordinary day, or nothing at all, but rarely if ever do we celebrate an arbitrary date such as New Year’s Eve. However, the second anniversary of my blogging career has come and gone and so I feel somewhat entitled to toot my horn today. Yea and forsooth, twas naught but a couple of years ago, waiting for my girlfriend in her college parking lot, laptop atop my lap, squished in my Civic, that I wrote my first ever blog post. 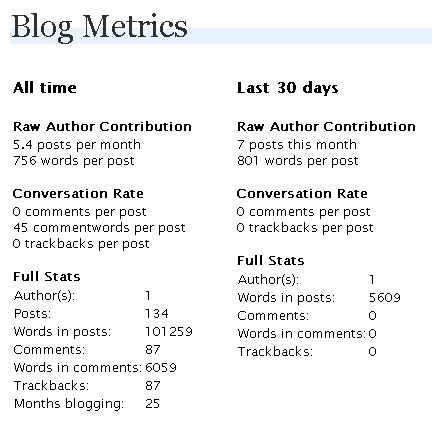 My first post, like the one I’m writing now, was about blogging. I’d read a few blogs and blog-like websites (like Slashdot, The Best Page In The Universe, and the now defunct SixthSeal) and really liked the format and nonchalantness of the prose about genuinely important topics, as well as the ability to leave comments to communicate with authors and fellow readers. I recognized the power and flexibility of this medium and mused about the responsibility of deciding whether to identify yourself, what voice to convey, and whether you are committed enough to decide whether to self-censor and to stick by that decision over the years. I like to think I’ve stood fast by my convictions in these areas, though whether this conviction to preserve my often uninformed blather may prove to one day be my salvation or damnation. More than anything else, blogging is my excuse to apply my craft to something I love. After high school and college and post-grad a guy’s vernacular is cranked through many an organ grinder; reluctantly expelling each word like passing a lego block lubricated with tabasco. Necessity is the mother of mediocrity, and that’s a shame because there are things I’d rather express, at my own pace, for no particular reason, that I could not because I’d been conditioned to classify writing as work. All this changed in a college parking lot, of all places. What a world we live in. What a country I live in. What incredible freedom and power I enjoy that I can express myself however I want, wherever I want, for all the world to see. It is unprecedented that one as unworthy, unworldly, and unobservant as myself has greater communicative power than the most benevolent professor or megalomaniacal warlord could dream of for the past millennia. For the umpteenth time in my life I am thankful with no one to specifically thank. Mankind has sufficiently evolved so that its meekest star may outshine the most menacing supernova. Each of us is worthy, and I lament those of us without the means or freedom to join me on this global pedestal. I read about bloggers in Egypt, freelance photographers in America, and anonymous dissidents in China, all being arrested for the crime of disseminating facts outside the control of the establishment. I’m not embellishing when I admit I ache for these people. The truth is always free – only truth tellers risk capture. I strive to be an honest and accurate blogger out of respect for those whose governments and cultures deny them that right. I thank my readers for reading. I thank myself for writing. I thank my country for leaving me be. Most of all, I am thankless because blogging is not a big deal. The internet may enable one and all to outshine the supernovae, but the stars need no one’s thanks to shine on. Expect no thanks, accept no censorship, and except no inspiration. Look within, see what glows, bring it out, and shine.